Before I review this wondrous work, I should tell you what qualifies, to my mind, as a great book. First and last is the writer's command of the language. I relish books whose authors, above all, know how to string words together in such a way as to create a kind of music, whose prose, because they're so well crafted, I have to resist rereading aloud. I realize that's a stringent demand. Keep in mind, that's my ideal, not my minimum requirement. Still, I'm unreasonable in this area, since, let's face it, most writers can't be as good at their craft as, say, Robertson Davies, Nabokov, Colleen McCullough, Steinbeck, J.D. Salinger, Mary Stewart, Dickens, Kipling, Conrad, Jane Austen, or Graham Greene, and, true, I shouldn't hold all writers to such standards. I concede that point. Nevertheless, I'll give a superbly written book up to four out of five stars, regardless plot, characters, or, in the case of non-fiction, subject matter. For example, I'm currently reading a book called The Beautiful People. It's about the history of fashion design, a subject I'd care nothing about if it weren't for the terrific prose by the book's author Marylin Bender. The second thing I look for with regards to fiction is characters. They must be unforgettable, believable, and interesting, characters like Atticus Finch (To Kill a Mockingbird), Holden Caulfield (The Catcher in the Rye), Sherlock Holmes, Thomas Covenant, Ignatius J. Rielly (A Confederacy of Dunces), Ichabod Crane (The Legend of Sleepy Hollow), and Tom Sawyer. And last, though almost equally important, is the educational aspect of a work. By that I mean all sorts of things from learning a host of new words or terms to general information I didn't know about a particular region or period in history. If, say, a character has a profession the writer explores, or if the story takes place in a country foreign to my experience so that I learn something about its societal mores or customs, its imports and exports, I'm pleased. Time well spent. Words and or references I have to look up, techniques that intrigue me, and so on, prejudice me in favor of the book and the author. Exposed to new things, I learn, thereby increasing my vocabulary and my knowledge base. I don't mean to suggest that I can't enjoy what Jeeves would describe as “light, attractive reading.” After all, ultimately I read for pleasure. I enjoy mystery, romance, and humor as well as the next casual or general reader. Much like an insipid pop song or a fattening pastry, transient diversions, provided they're enjoyed in moderation, have their place. And despite being what many might regard as a literary snob, I can relax and plunge into a forgettable tale for the mere sake of escapism as easily as any other literary pleasure seeker. So yes, I'll read most anything, even if the author isn't concerned with enlightening or challenging me. But such books don't especially excite me. They certainly aren't the sorts of books I'd recommend. That said, if a writer can meet all three of the above criteria – exceptional prose, interesting characters (real or imagined), and insightful, informative content – a glorious combination ensues I can't resist blogging about. Thomas Bulfinch (1796–1867) achieves all three of these things in his celebrated publication Bulfinch's Mythology. The book actually combines three volumes – The Age of Fable (1855), which covers the Greek, Roman, and Norse myths; The Age of Chivalry (1858), which deals principally with King Arthur and his noble knights; and The Legends of Charlemagne (1863), my least favorite and the shortest of the three. I'm not overstating the relevance, importance, or influence of this material when I say the stories herein comprise the bedrock of Western Civilization. Our culture owes a great debt to these tales of antiquity. From classifications in botany and medicine, astrology and astronomy, the arts – statues, paintings, literature, film – the stories of ancient gods and heroes have impacted generations for centuries. 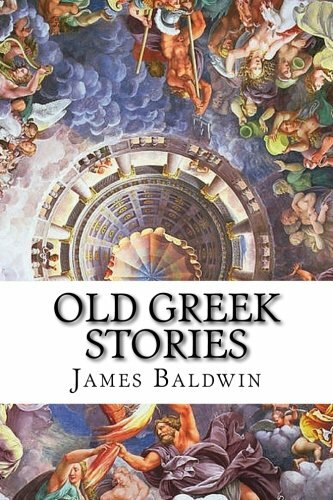 Sure, Virgil, Ovid, Homer, Milton, Shakespeare, Byron, Euripides, et al, all of whom either wrote extensively about, or referenced liberally from, these archetypes and their adventures, are indispensable to our classic library of masterpieces. But that's not even the half of it. Consider the staggering array of references and derivations, apart from the constellations, we take for granted. Themes (Justice) held “aloft a pair of scales” hence monuments to Lady Justice on the steps of some of our courts and university campuses. Mercury (Hermes) who carried the “rod entwined with two serpents,” called the caduseus, is to this day the insignia for the medical profession. Words in our modern English language such as Odin (spelled Woden) gave us the word Wednesday. Thursday is derived from Thor. Halcyon from Halcyone, as well as the flower hyacinthus. Mentor; Somnambulism and somnolent from Somnus (the personification of sleep); morphine from Morpheus; the story of Echo and thence our use of the same word in the same context, arachnid from the story of Arachne; Narcissus; Melancholy; Meander; Cornucopia. If I ever get a pet, it'll be a dog, and I shall name him Argus. When Ulysses returns from his Odyssey, which, remember, is the voyage he embarks upon after his long years at war near the walls of Troy, his faithful dog, now an octogenarian in dog years, who's been awaiting his return, can at last expire. Many of the geographical place names of that epoch are still in use today: the Ionian Sea named after Io; Athens named after Athena, Media therefrom Media in Asia, Hellespont (now the Dardanelles) named after Helle; Cape Palinurus from the character Palinurus. The river Acis from the story of Galatea and Acis. And let us not forget the Olympic games (or the Olympics) derived from the word Olympus, the fabled abode of the Greek gods. I can't help but wonder, of all the stories of the Old Testament – Jonah and the fish, Samson and Delilah, Noah and the Ark, The Tower of Babel – how many of them follow a similar vein. Even if such stories aren't factually accurate, I suspect they harbor metaphorical truths our modern minds, preoccupied with the literal, often lack the ability to discern. Whatever the answer, those same stories undoubtedly deal in poetic truths no less meaningful than the modern facts science insists on, poetic truths about human frailty, courage, despair, humility, and faith, among other virtues and vices. 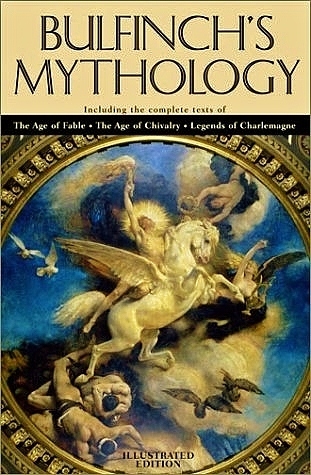 And that's only the first part of this three part masterpiece known as Bulfinch's Mythology. Part two, The Age of Chivalry, covers the romances of King Arthur, his noble knights – Sirs Gawain, Launcelot, Tristram, Perseval, Galahad, Bohort – the Lady of the Lake, and of course Guenever and Merlin. Also included is a captivating summary of Malory's Le Morte d'Author. Bulfinch's writing style is superb. The stories, though more exhaustive than Edith Hamilton's work Mythology, which I enjoyed, are still all too brief. Despite their brevity, however, they're precious marvels. Betimes harrowing, often mystical, and always captivating. Yes, I'm giving this book five out of five stars. But to adequately stress this book's importance, I'll go one step further, though with the tip of my tongue against my inner cheek. Five out of five stars here means if you don't read this book, you're dead to me.